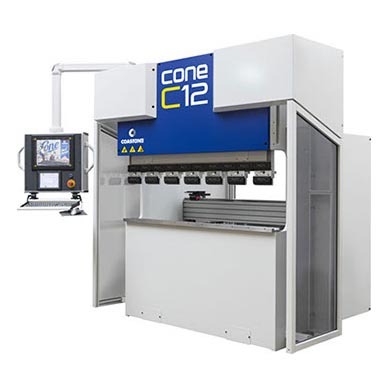 CoastOne Bull Series Press Brakes – International Technologies, Inc.
CoastOne’s Bull Series press brakes are built for applications that require both high tonnage and accuracy. 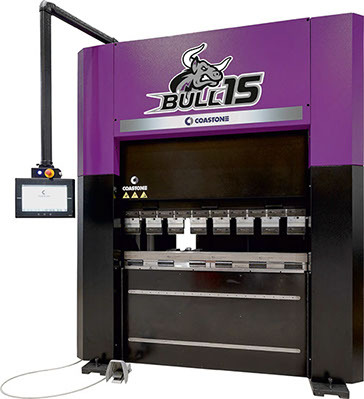 The Bull Series features CoastOne’s unique O-frame design with custom ball screws. Capacities are 110 and 160 tons. 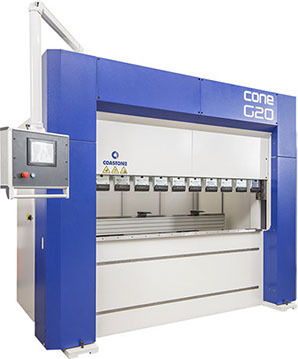 Built in Finland, CoastOne press brakes are servo-electric, ball screw driven, and equipped with the highest class linear guides available. These brakes are designed for years of accurate bending under the most demanding requirements. A user friendly programming system means fast set-ups perfect for short runs and unexpected production requirements. A servo-driven press brake provides better cycle times and requires less maintenance than a hydraulic brake. In addition to the fast acting ram, the X + R backgauge provides impressive capabilities in small lot sizes to keep today’s fabricators competitive while tackling constantly changing customer demands. 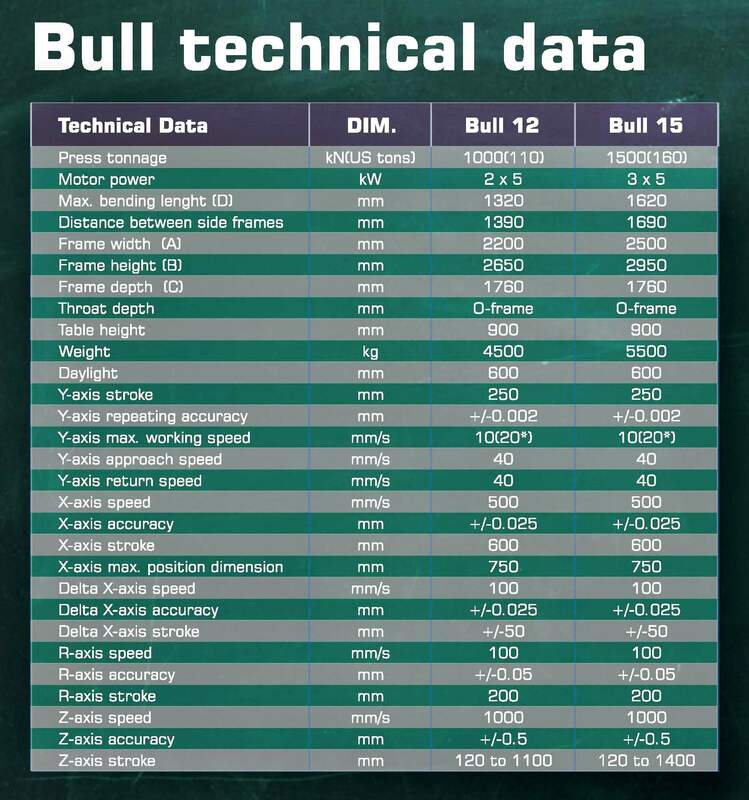 The Bull Series’ closed O-frame construction means less weight, better accuracy, and a small footprint despite the power for high tonnage bending. Like all CoastOne servo electric brakes the Bull Series is precise, easy on the environment and your operators, and consumes as little as 1-3 kW power. 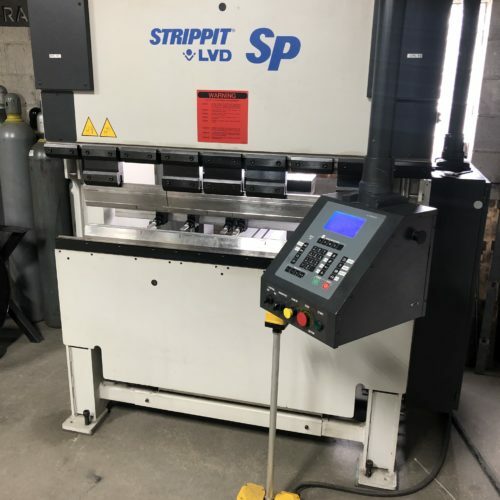 Need a new press brake tomorrow? Call IT today!